If you’re looking for a peaceful and quiet retreat, consider Chip Allen’s listing at 0 & 2 Rockefeller Lane on Wadmalaw Island. The semi-rural barrier island is known for its laid back pace of life, tree-lined roads and breathtaking waterfront vistas but it is still only 35 minutes from downtown Charleston so you can still enjoy all that the world-class city has to offer. 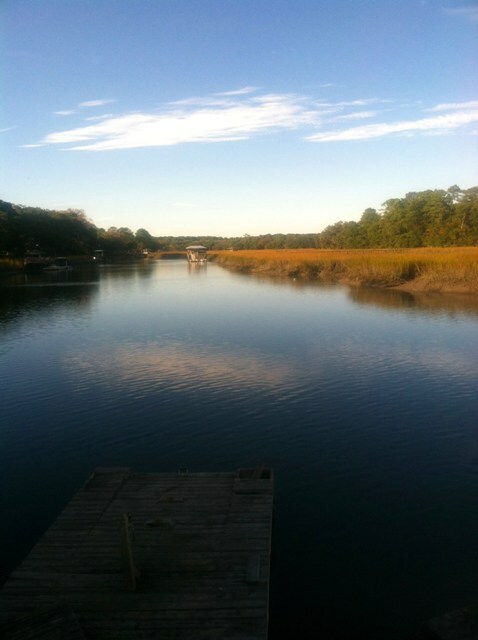 North Edisto River and the Atlantic Ocean (approximately 10 minutes from each) so you have many possibilities! Part of the 2.37 acre property has been cleared–creating an ideal site for your dream home. Mature trees surround the clearing, giving you the sense of privacy you desire. The other parcel, 2 Rockefeller Road, is over 10 acres in size but does not have direct access to the water. It has over 940′ of frontage on Rockefeller Road as well as a beautiful avenue of the oaks. The property could be the site of a grand country estate or could also be divided into smaller sub parcels–the possibilities are limitless. High-end homes, many with equestrian amenities, are the norm for Leadenwah Ranch. For more information on either of these listings, contact Chip Allen. Click here to see more homes and land for sale on Wadmalaw Island!